Created a new Entrance Lobby with new entrance to building, new reception desk with security. Added a water feature with PPL logo. Features Italian marble, cherry finish pilasters, polished brass wall treatments & light fixtures. Updated elevator lobby and elevators. 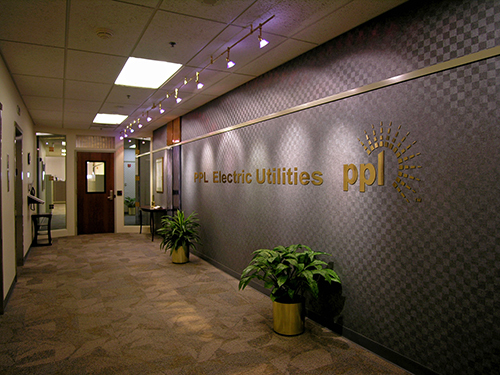 The project goal was to renovate the common areas and exterior of an existing urban office-building complex. 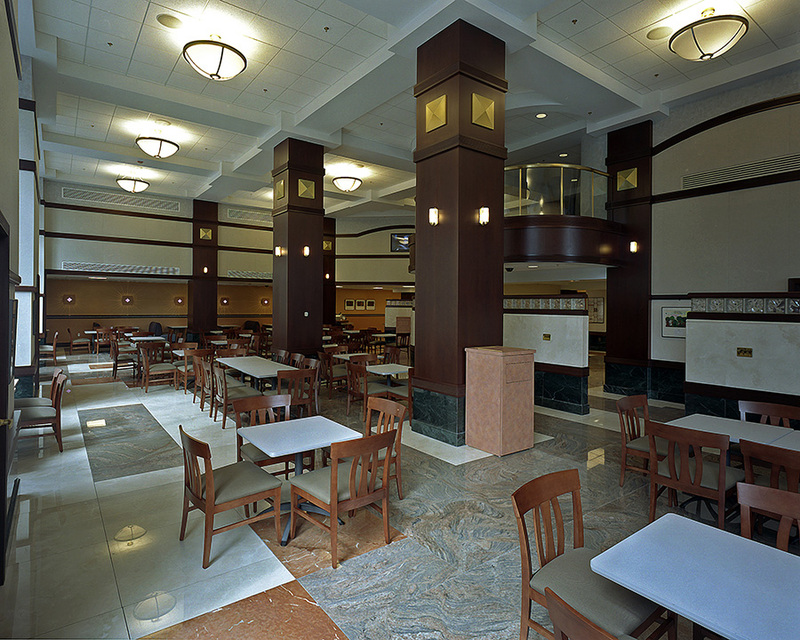 Interior renovation occurred throughout the first three (3) floors of all three buildings of the complex to restore the Tower Building’s Art Deco architectural style and transition into a fresher image. The new design provided a continuity of style and finishes. The circulation pattern was re-designed to be functional and aesthetically pleasing while offering invisible, yet effective, security. The new design featured a new bronze curtain wall and entry leading to an elegant surroundings of Italian marble, cherry wood and brass details. Just past the Reception desk a waterfall forms the focal point of the lobby. The waterfall symbolizes the use of hydroelectric power and the companies’ commitment to a “greener” world. The original Mezzanine floor was re-opened and a new balcony with glass panels displaying a reproduction of the first corporate logo was employed. The Auditorium was re-designed to meet today’s hi-tech presentations. 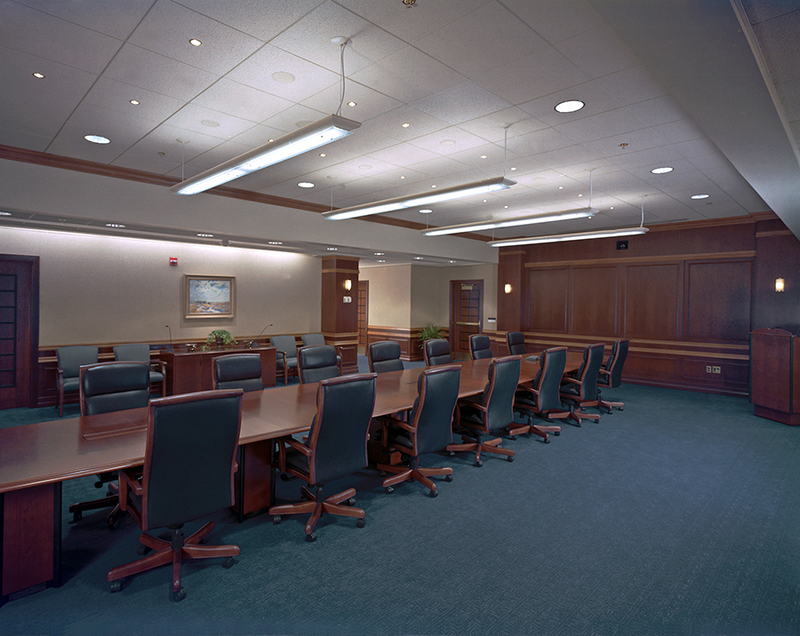 A Conference Center and Boardroom Suite were designed to occupy the second floor of the Tie Building. Renovated 150,000 SF. 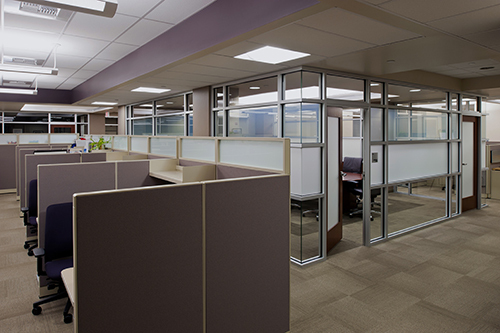 office interiors including all new systems, layout and finishes. Floors N5, N4, N3, N2, N1, N1B, & N2B were all individual projects from 2005-2007. 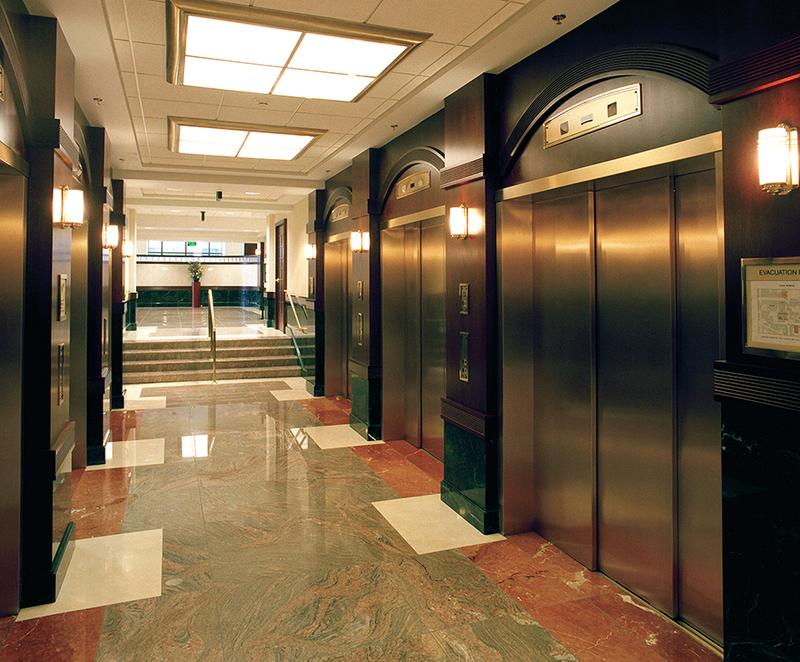 New elevator lobby. Updated conference room. Accentuated columns with pre-finished metal panels. 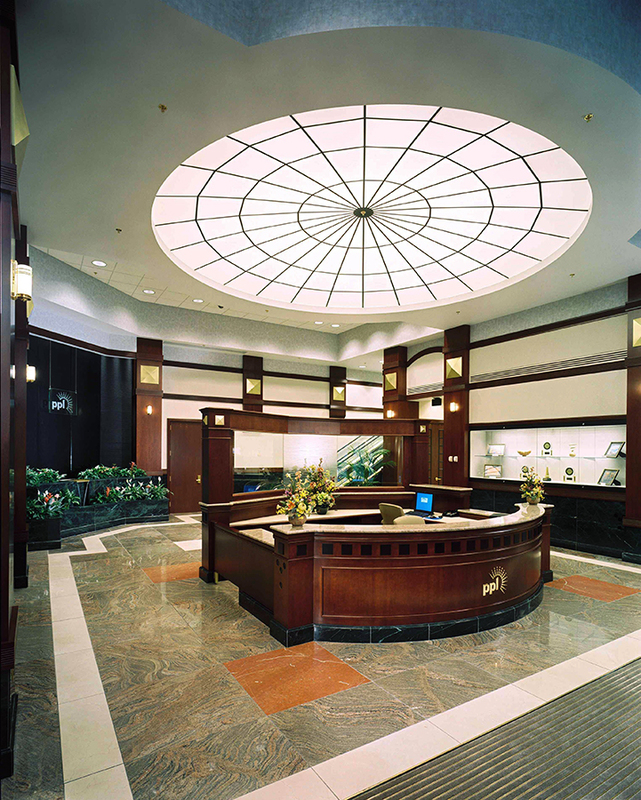 Provide scale to large office area with accent band at door height.